Following on from their popular VST to AU Adapter, Fxpansion has developed a new adapter allowing VST plugins and instruments to be used transparently in Pro Tools (LE and TDM; 6.1 and up on Mac OS X). This adapter will be released in approximately one month. 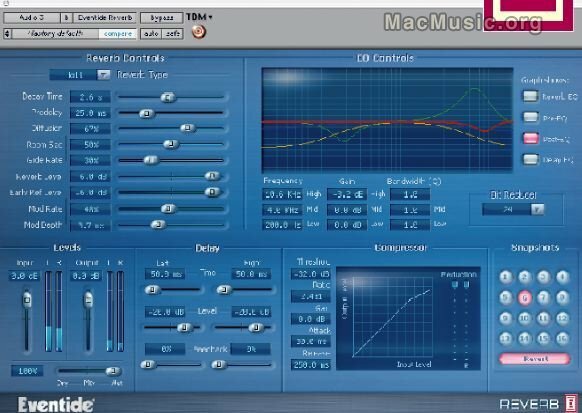 Based on the same technology as their earlier adapters, it converts VST plugins to virtual RTAS plugins, which can be loaded directly in to a session without any intervening "wrapper". The Apple press conference is just over : It was a very music-slanted conference (Steve Jobbs with a piano on the stage, chatting with Bono, Mick Jagger). 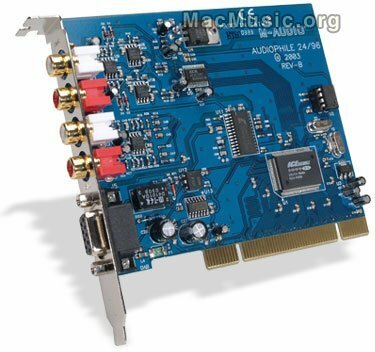 - 3rd generation iPod, thiner than 2 CD boxes, now offering a 10 000 song storage capacity (40 Go model), more than 670 hour recording capacity (mic/phone kit at $49) with latest Itune synchro. Apple also releases a 20 000 pictures capacity iPod storage kit at $99, now iPhoto supported. Eventide announced Reverb, the plug-in that brings their best reverbs from their flagship Orville processor to the desktop. The Eventide Reverb plug-in for Digidesign Pro Tools TDM for Mac v5.1.3 or greater, is a multi-effects plug-in that incorporates a pair of delays, pre and post stereo three-band parametric EQ, a high-quality compressor, and a Lo-Fi effect. The look of the Eventide Reverb plug-in is simple and succinct, presenting operators with a single graphical user interface that features all of the tools in a single window. Their unique snapshot feature provides an intuitive way to capture or recall parameter settings with a single mouse click. Eventide introduced the Octavox Harmonizer diatonic pitch shifter plug-in for Digidesign's Pro Tools TDM platform. As the first ever Eventide Harmonizer eight voice diatonic pitch shifter plug-in, the Octavox allows users to create anything from stacked harmonies and subtle, wide choirs to musical rhythmic sequences. 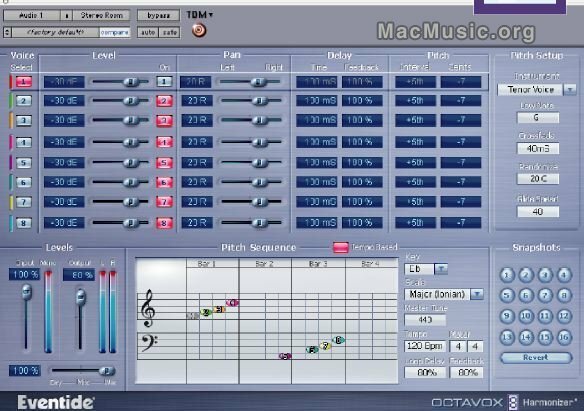 The easy-to-use graphical interface not only gives access to the pitch shifting capabilities of Octavox, but also provides unique and musical control of the pitch and delays using the Notation Grid. This "notation meets step sequencer" presents pitches on a traditional music staff with quantized grids superimposed for placing notes over time. Snapshots can be used to instantly rearrange the entire sequence.